Love Baby Sitting Jobs ? These babies need a babysitter ASAP! Be the best babysitter and have fun with the babies and make sure they don’t mess the house. Take these cute new born babies to play at the club house, make healthy break fast, and when night falls, lull them to sleeping baby day care games. You can fun for a full day of fun with these new born babies! Features: - Run your own baby nursery and day care for little kids. - Be a nursery doctor and take care of the babies - Dress up the babies in most stylish babysitter look! Let the babies choose their favorite outfits! 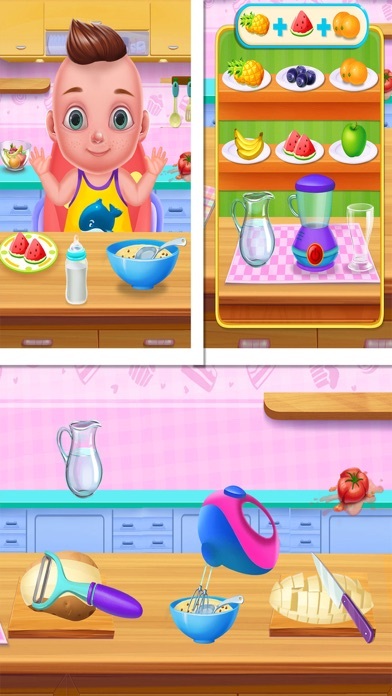 - Make yummy and healthy breakfast to feed the new born babies. - Grab their bathing suits and cool off in the bath tub - don’t forget to put on the hair shampoo to wash their hair! - A great game for kids of all ages to play! 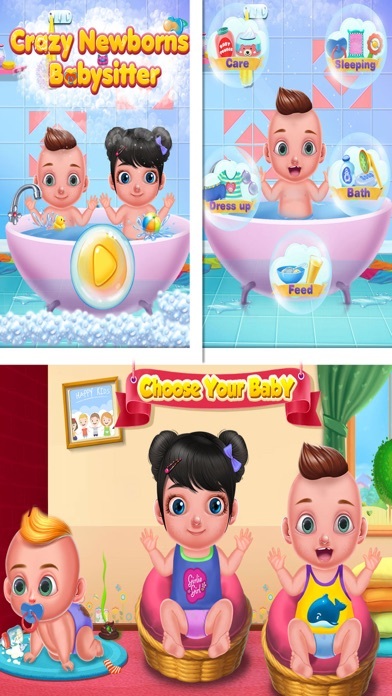 Game Play - Bath view - Grab the bathing suit & give this sweet baby a cooling bubble bath! Sleeping view - Hurry! Get the babies all tucked up in the beds before their parents get home! Dress up view - Choose the best babysitting clothes and dress up the kids in amazing costumes! Feeding view - The baby is hungry! Prepare a yummy supper and ffed them! Care view - Oh no – the baby got sick! Be a caring, loving baby nurse and treat this baby in the hospital nursery! Be the best nursery doctor in the town and run your own day care club!